Dieter Klein has become the latest player to agree a new deal at Leicestershire, meaning the left-arm fast bowler will now be on the staff until the end of the 2019 season. "I feel that my game has really developed here, and I look forward to that continuing," the 29-year-old said. "I have enjoyed working with all of the coaches here at Leicestershire and look forward to the team continuing to move forward." 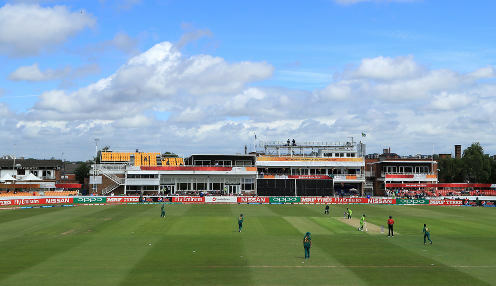 The Foxes will view the retention of the South African Kolpak recruit as vital at a time when Zak Chappell and Ben Raine have left. Klein's new terms follows the news that Pakistan star Mohammad Abbas will return in 2019 while Chris Wright joins from Warwickshire. "We all know that Dieter can bowl at high pace and swing the ball, and he has been in the first XI squad on many occasions," said Leicestershire head coach Paul Nixon. "Dieter's batting has come on tremendously, and he is a whole-hearted performer in everything that he does, both in games and practice. "There's been tremendous progress with the bowling unit under Matt Mason, and it is important to have a range of bowlers. Dieter offers us something different and we're delighted that he has signed an extension with us." Meanwhile, England are 9/4 to win the 2019 World Cup on home soil and are available at 5/1 to triumph in the 2020 ICC World Twenty20.